AD: Toyota Harrier now with immediate availability – book now to win holiday package and Toyota Sienta! Home » Special Coverage » Sales & Promotions » AD: Toyota Harrier now with immediate availability – book now to win holiday package and Toyota Sienta! It’s safe to say that the Toyota Harrier has been a rousing success, with over 500 units delivered to customers since its launch in January. However, such has been the overwhelming demand that the number of outstanding orders has been higher still, resulting in waiting periods of up to 12 months. Now, UMW Toyota Motor has secured an increased supply of the popular SUV from Japan, and with more stock at hand, you can expect a shorter waiting line – so now’s your time to book! The Harrier continues to be available in Premium and Luxury variants, priced from RM243,000 on-the-road without insurance. No matter which version you go for, you’ll get the latest-generation 2.0 litre turbocharged four-cylinder petrol engine with D-4S direct injection and Variable Valve Timing-intelligent Wide (VVT-iW), blending high output with low fuel consumption. 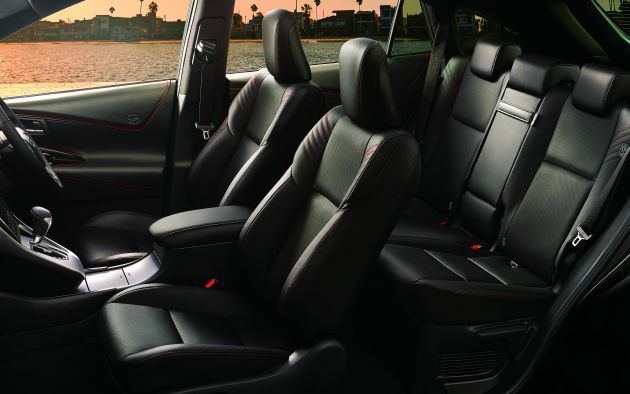 What’s more, all models get the full Toyota Safety Sense package, incorporating various active safety systems such as Pre-collision System, Dynamic Radar Cruise Control and Lane Departure Alert. Other safety features include Vehicle Stability Control (VSC) and Traction Control (TRC), Hill-start Assist Control (HAC), Emergency Stop Signal, Electric Parking Brake with Auto Brake Hold and a reverse camera. Style is important, so the Harrier comes with LED headlights, daytime running lights, cornering lights, fog lights and rear combination lights. The headlights feature Adaptive High Beam technology to ensure optimum visibility of the road ahead without dazzling and inconveniencing other drivers. Also fitted are sequential turn signals that displays the driver’s intention to turn left or right. The Harrier is available in four colours – Dark Blue Mica Metallic, White Pearl, Sparkling Black Pearl and Silver Metallic. Buyers can expect total peace of mind with five years of unlimited mileage warranty as well as the added assurance of genuine spare parts used at all Toyota dealerships across Malaysia. You’ll also enjoy a five-year free maintenance package while stocks last. Last but not least, customers who book their Toyota Harrier from now until the end of the year have one more treat in store in the form of Toyota’s Year End Bonanza, where they’ll stand a chance to win a holiday package as well as a brand new Toyota Sienta compact MPV! 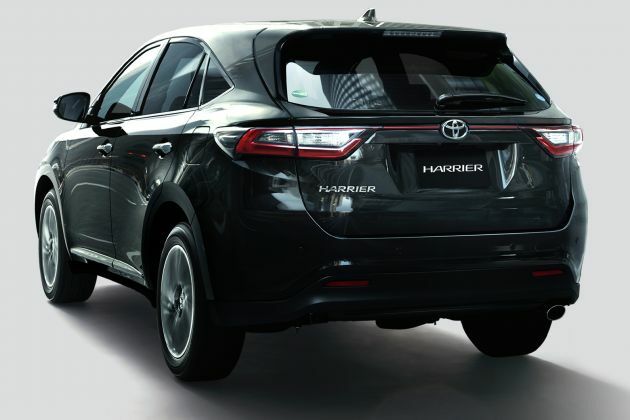 Visit the official Toyota Malaysia website for more details on the Toyota Harrier and click here to book a test drive. Previous Post: Suzuki Jimny DAMD Little G dan Little D – replika skala kecil Land Rover Defender dan Mercedes G Wagen!